The upcoming holiday weekend is typically one of the most dangerous times of the year for traffic crashes involving alcohol. 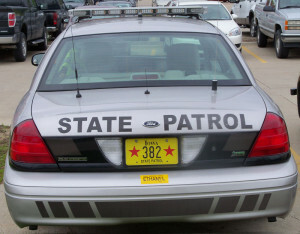 Alex Murphy, spokesman for the Iowa Governor’s Traffic Safety Bureau, says the Fourth of July weekend last year was marred by multiple fatal accidents around the state. “Seven people were killed on Iowa roadways and one of those was alcohol related,” Murphy said. In 2013, six people were killed on Iowa roadways over the Independence Day weekend and three of those crashes were alcohol related. The National Highway Traffic Safety Administration reports in 2013, the most recent year in which data is available, 512 people were killed, nationwide in motor vehicle crashes over the Fourth of July holiday. Murphy notes that 199 of those traffic deaths involved alcohol. The Iowa Department of Public Safety reports extra law enforcement officers will be patrolling Iowa roadways between July 1-7th watching for impaired drivers. “If you’re going to have any adult beverages at any of your celebrations over the Fourth of July, we hope that you’ll have a designated driver or call a taxi cab,” Murphy said. The legal limit for drunk driving in Iowa is a blood alcohol concentration (BAC) of .08. According to the national figures, more than 20 percent of the impaired drivers involved in fatal crashes had a BAC of .15 or higher.